Trained in classical ballet and a graduate of the Northern School of Contemporary Dance, Giorgia Nardin is an independent choreographer and performer whose work includes solo and group performances for theatres, galleries and museum spaces. Having commenced her choreographic career in 2010, …moreworking in collaboration with Marco D’Agostin and Francesca Foscarini, in 2015 she was selected by the Aerowaves Network as an Aerowaves Twenty artist for her first piece for two performers entitled All dressed up with nowhere to go. 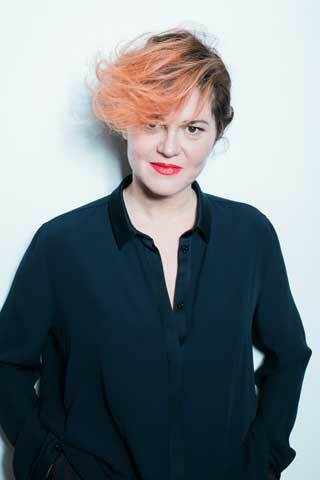 In the same year, she was also the first Italian choreographer to be awarded a residency at K3 – Zentrum fur Choreographie Hamburg (Kampnagel), for whom she created Season, and in 2016 she was invited by CSC (together with Yasmeen Godder, Yoko Higashino and Melanie Demers) to create a work inspired by the Stabat Mater, a 13th century prayer written by Jacopone da Todi. In addition to her choreographic work, she has danced in many European projects, including Choreoroam Europe, Performing Gender, B Project (which she performed at the National Gallery in London) and Pivot Dance. Giorgia Nardin is an associate member of the teaching staff of Balletto di Roma. Having trained as a professional dancer at the Laban Centre in London and participated in many editions of Sasha Waltz & Guests, since 2007, Francesca Pennini has been artistic director of CollettivO CineticO, a company founded with a view to forging new ideas vis-à-vis movement and …moreits relationship with music, video and image, for whom she has choreographed 37 productions to date. She is also the originator of new methodologies for the composition and organization of movement whose aim is to enable the creation of complex dances with a wide variety of body types. In 2009, she participated in the international Choreoroam Europe research project and in 2015 she was appointed choreographer of the Venice Biennale College – Danza project. In the same year, she participated in a cycle of conferences on performance at MAXXI, Rome, and was awarded the Premio Danza&Danza for best choreographer and performer. In 2016, CollettivO CineticO won the International Theatre Festival MESS Prize awarded by the BE Festival, Birmingham, the Iceberg Prize awarded by Premio Hystrio, Milan, and the Italian Premio Nazionale dei Critici di Teatro. 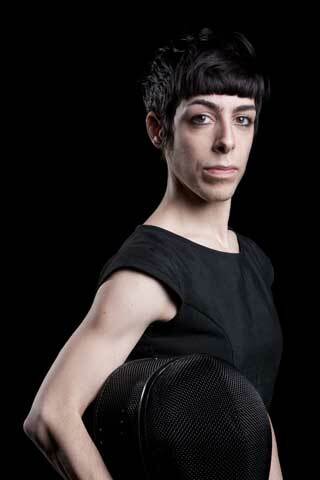 Chiara Frigo pursues her interests in contemporary dance and performing arts as both choreographer and performer. A graduate in molecular biology, in 2006 her first work, Corpo in Doppia Elica, won third prize at the Festival of Choreographic Miniatures, Belgrade, while, in 2008, …moreher study of speed entitled Takeya won the GD’A Veneto prize and was selected for inclusion in the Anticorpi XL and Aerowaves Network projects. Takeya has since been performed in over 50 towns and cities throughout the world. In 2009, Chiara Frigo was invited to participate in the international Choreoroam Europe research project and, following the presentation of Suite-Hope, in 2011 she was appointed artist in residence at La Caldera, Barcelona. Suite-Hope was also one of five works chosen to represent Italy at the 2012 Edinburgh Fringe Festival. In 2013, she debuted When We Were Old, an international collaboration with the Canadian choreographer Emmanuel Jouthe, at the Tangente Festival, Montreal, and presented the work to European audiences at the Romaeuropa DNA Festival, Rome. She is currently involved in performing Ballroom and West End, works created with the support of the European Act Your Age project. A triptych of new choreographies by three young Italian choreographers exploring three areas of research suggested by three early 20th century musical compositions which, although now part of the mainstream repertoire, once played a fundamental role in the development of a revolutionary way to create dance. Each of the three acts of the performance presents an independent choreography focusing on a subject suggested by the music to which it set and hence the extraordinary period of innovation and artistic ferment which accompanied the success of the Ballets Russes in Europe. Although much has been written about the sea change brought about by the advent of new approaches to arts throughout Europe at the turn of the 20th century, little has been said about the role played by female figures – suffice to mention, Ida Rubinstein, dancer and patron of the arts who, having left the Ballets Russes, in 1928 commissioned Maurice Ravel to compose his famous Boléro and herself choreographed and interpreted the ballet of the same name – in the development of European dance. With this new production, Balletto di Roma offers three young Italian choreographers, all active on the international contemporary dance scene, the opportunity to present their interpretations of three of the most iconic musical compositions of the early 20th century. Giorgia Nardin, freelance performer and choreographer, reinterprets Debussy’s Prélude à l’Après-midi d’un Faune, a symphonic poem inspired by a text by Stéphane Mallarmé and now recognized as one of the precursors of musical impressionism, in the extremely physical and provocative style, which characterizes her work. Chiara Frigo also focuses on the music of Debussy, choosing his Suite Bergamasque, a solo piano suite whose third movement is the world famous Clair de lune, a composition inspired by the poetry of Paul Verlaine, to explore the issue of migration. In a weave of literary and mythological references, Frigo creates a Daedalean labyrinth inspired by the contrasting concepts of the blind alley of migration and the liberating (albeit fatal) flight of Icarus. Choreographer and founder of CollettivO CineticO, Francesca Pennini chooses the music of Ravel’s Boléro as the point of departure for her choreography. De- and re-constructing the French composer’s work in such a way as to create a complex, ironic, “cinetic” ballet, the insistent rhythm of the original score most impedes her thematic, musical and choreographic decomposition. Besides the choreographers’ choices of music, the core focus of all three choreographies is the body and dance: humanity in movement, the desire to be loved and to love, seduction and its contagious impact on human beings.